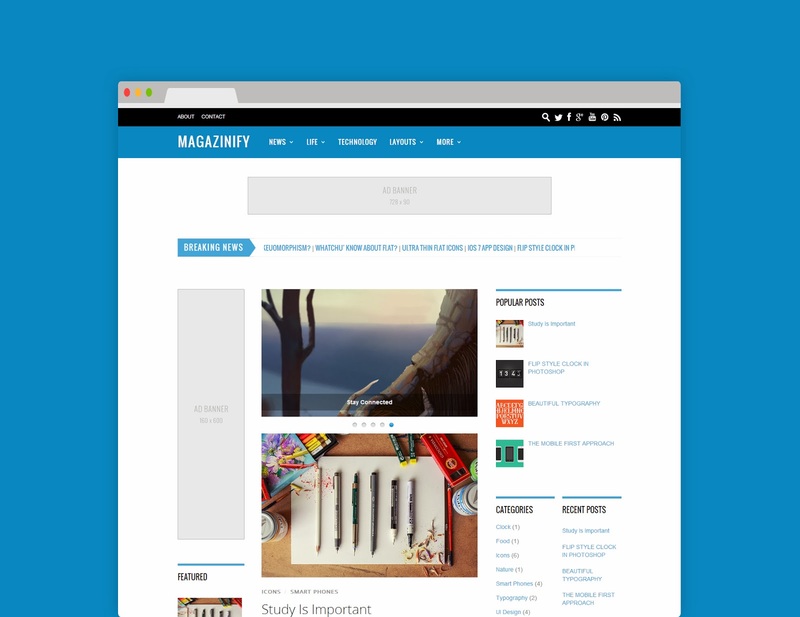 Magazinify Responsive is a 3-column theme. It is a fully responsive & retina ready theme packed with many features: clean layout area, ,mega menus, widgetized areas for banner ads, breaking news ticker, social share buttons, related posts, footer menu, social links, and more. If you are looking for a flexible & powerful theme for editorial/news sites with mobile & retina support, Magazinify is the best choice!